Big changes at the state level make now a good time to evaluate your dealer bond costs and requirements. The commercial surety bond market experienced a greatly improved pricing environment for buyers over the last year. A combination of a strong economic climate, technology advances in surety delivery and processing systems, and increased competition significantly lowered costs for surety bond buyers nationwide. Nowhere is this change more evident than in the motor vehicle dealer surety bond sector. Meanwhile, some states recently set new required bond amounts for various types of dealers. The time is ripe for reevaluating your coverage, making sure you’re using the best resources to price your bond and that it is meeting state mandates. 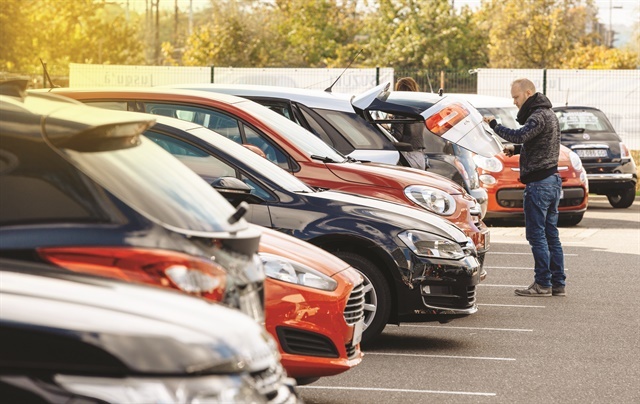 Both franchised and used motor vehicle dealers in nearly every state are required to post and maintain motor vehicle dealer surety bonds as a state licensing requirement. These bonds are also known as auto dealer bonds, car dealer bonds, MVD bonds, or just dealer bonds. The bond amount (or required coverage) varies by state and dealer type and typically ranges from $10,000 to $100,000. The latter is Arizona’s bond requirement, which is the largest, while the prior is the bond post requirement in New Jersey. Some states require separate bonds for each secondary salesroom or place of business. While the statutory bond obligations vary by state, the bond is generally furnished to ensure that the dealership conducts business in an ethical manner and complies with all state statutes and guidelines pertaining to operating a dealership. A third party who has been damaged financially by the bonded principal’s violations of applicable provisions of the state laws may file a claim against the bond seeking to recover damages. The liability to the surety company is typically limited to the statutory bond amount. In addition to car dealers, related vehicle businesses, such as powersports dealerships, are required to furnish dealer license bonds in many states. Automotive recyclers, parts dealers, auctioneers and salvage dealers may also need to furnish surety bonds in their state. Most motor vehicle dealer bonds are priced and purchased for an annual term but may be offered by surety companies for multiyear terms with favorable rates on later years. Other bonds must correspond with licensing dates or may have a fixed expiration date that is set by the Department of Motor Vehicles or another governing authority. For example, all independent Florida motor vehicle dealer bonds expire on April 30 each year, regardless of when the bond was purchased. Price shopping your bond six weeks before the expiration is an industry best practice. As I’ll explain below, prices can fluctuate dramatically with different agents and carriers, with changes to historical claim and loss activity in the market, and based on your individual business and credit history. Bottom line, simply renewing your existing bond without comparing costs can be an expensive habit. Surety bonds are priced based on a combination of the risk of loss associated with the specific bond type and the risk of loss associated with the specific applicant. The risk of loss for a bond type is based on the nature of the underlying statutory obligation and historical claim and loss activity experienced by the insurance carrier or industry for the particular bond. The risk of loss associated with the applicant is based primarily on experience in the business along with personal and business credit history. In this way, surety bonds are underwritten more like a credit product and less like a traditional insurance product. In today’s market, most dealer bonds will be priced with an annual rate from 0.5% to 3% of the bond amount. That means that a $50,000 dealer bond will cost most applicants between $250 and $1,500 per year. A favorable macroeconomic environment is the first factor driving down dealer bond prices nationwide. The overall economy is relatively strong and continues to show moderate growth. As a result, most auto dealers are doing well financially. Insurers that assume the risk of loss on surety bonds are also handling fewer claims and loss payouts. Another factor leading to lower bond prices is the growing use of technology to improve operating efficiencies at specialized bonding agencies and insurance companies. Technology strides, including instant quoting systems, automated underwriting, and more robust bond management systems, have led to lower operating costs for providers. These lower costs are then passed on to auto dealer bond buyers through lower prices. Further, these new technologies make your annual or biannual bond shopping exercise a quick and easy process. Lastly, several years of low-cost capital coupled with profitable surety industry results have attracted new competition into the market. Many large insurance companies are now directing capital and resources on developing a surety bond business. These new competitors are acquiring business through aggressive pricing initiatives. Unfortunately for some dealers, the price improvements are bittersweet, because they are facing bond amount increases implemented by state motor vehicle commissions. 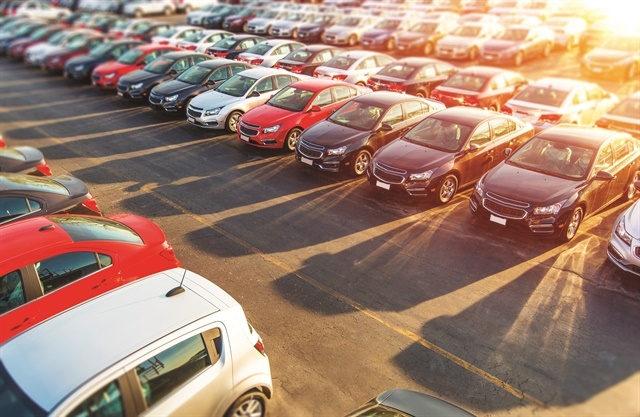 For example, New York recently increased the surety license bonds required of used motor vehicle dealers, a hike that took in March. That means dealerships with annual sales of up to 50 vehicles will need a $20,000 bond. Those with annual sales of more than 50 vehicles will require a $100,000 bond. Before the new mandates, most used-car dealers in New York were only required to post a $10,000 bond. The states of Iowa and Louisiana have also recently instituted increases on franchised and independent dealer bond requirements. Iowa increased the bond requirement from $50,000 to $75,000, effective July 2016. Some Louisiana used-car dealers saw their bond requirement increase in August 2016 with the passage of House Bill 271. Previously, dealers selling less than 120 vehicles per year furnished a $20,000 bond. The new law removed the volume hurdle and requires all used-car dealers to post a $50,000 bond. When a bond amount (liability to the insurance company) increases, the bond price will typically need to increase to accommodate for the additional risk exposure to the insurer. Considering the various factors at play, now is a good time to evaluate your bonding requirements and costs. Always work with a licensed and reputable bonding company or insurance agent, and consider working with a national agency that works directly with specialized insurance carriers and is experienced in helping customers specifically with surety bond needs. Jason O’Leary is vice president of product and technology for Surety Bonds Direct. Contact him at jason.oleary@bobit.com.